In the first century CE, Europeans treasured the spice so much that they paid 15 times more for it than silver. Cinnamon is actually the brown bark of the cinnamon tree. It can be found in quill form (the dried “stick” variety) or ground as a fine powder. Rich in essential oil, cinnamon contains active components including cinnamaldehyde, cinnamyl acetate, and cinnamyl alcohol, which account for some of its many therapeutic benefits. It also helps prevent urinary tract infections, tooth decay, and gum disease, and helps with blood sugar control. Cinnamon is an anti-inflammatory, in part due to its cinnamaldehyde content. According to research published in the journal Molecular Biology, chronic inflammation plays a major role in the development of various neurodegenerative diseases, including Alzheimer’s disease, Parkinson’s disease, multiple sclerosis, brain tumor, and meningitis. The study suggests that cinnamon (and other spices like turmeric, red pepper, black pepper, licorice, clove, ginger, garlic, and coriander) target inflammatory pathways, thereby potentially helping to prevent neurodegenerative diseases. Participants who smelled cinnamon (or chewed cinnamon-flavored gum) had improved scores on tasks related to attentional processes, virtual recognition memory, working memory, and visual-motor response speed. The scent of cinnamon worked better than both peppermint and jasmine at enhancing cognitive function. Cinnamon reduces blood glucose concentration and enhances insulin sensitivity. In obese and healthy-weight individuals, cinnamon is also effective in moderating postprandial glucose response (or the amount of sugar in your blood after a meal). 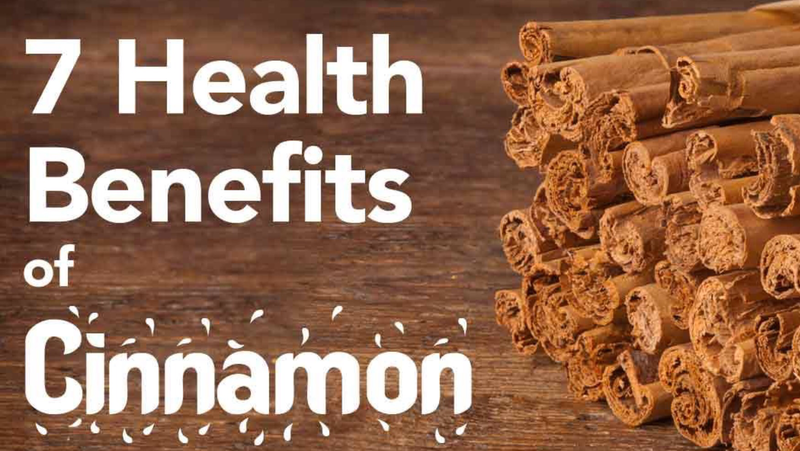 Cinnamon also has antibacterial properties that may help certain sore throats, and its warming properties increase blood flow and blood oxygen levels to help fight infection. According to traditional Chinese medicine, cinnamon is useful for phlegmy coughs. Children with ADHD who received cinnamon aromatherapy along with rehabilitation had significantly reduced symptoms. Cinnamon is known to help improve glycemic status, including levels of fasting blood glucose, among people with type 2 diabetes. Another study found that the spice increased glucose metabolism by about 20 times, which would significantly improve your ability to regulate blood sugar.